What a sweetheart this little lady was! Her big brother was equally as awesome and wanted me to go play outside with him instead of taking his precious little sister’s pictures. And so the sibling fight for attention begins! 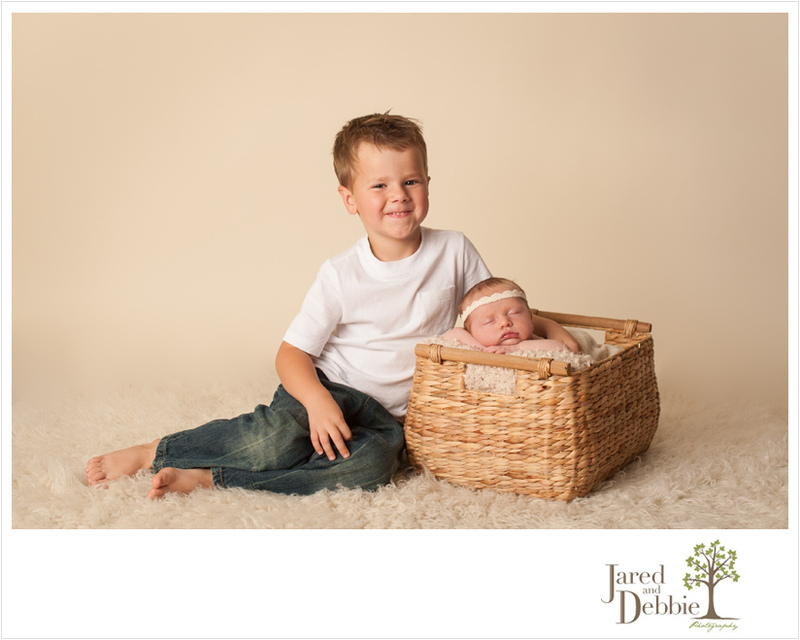 This gorgeous family is new to the area and were thrilled to have stumbled across our work on the web. While Paisley was a few weeks older then our typical newborns, we were able to get her into a deep sleep and capture those precious, newborn poses that her mom adored! Here’s just a peek at Paisley and her big brother, protector and future best friend, Camden. Stay tuned for more images from her newborn session!